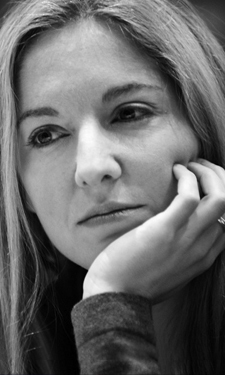 Victoria Coren Mitchell - Blog - Only Connect! Back! Monday! The 13th! Only Connect! Back! Monday! The 13th! Yes, tomorrow night. Or tonight, if you’re reading it tomorrow. By which I mean today. If it’s yesterday, all I can say is: I hope you have iPlayer. Anyway, the new series of Only Connect starts on Monday 13th May in its usual 8.30pm slot on BBC Four and continues for… dammit, I can’t work out the number of weeks. Normally, I can calculate backwards from the number of episodes you’d need to make to turn 16 teams into one set of champions. But this time round, the series has a NEW TOURNAMENT STRUCTURE, which I will be explaining at the beginning of the first episode. I hope. I shall be tuning in to listen to myself, and see if I can understand how it works. Like University Challenge? - with the repechage for those losing for the first time. That would make 14 with a 3rd place playoff. Excellent first prog. Surprised when you appeared to pass over the chance to comment on testicles then delighted that you didn’t disappoint. Ridiculously happy to get two questions and ¾ of one wall. Simple. And if you’ve printed out the diagram as a kind of World Cup Wall Chart, tonight’s show was ‘B’. I prefer the new system which is not as complicated as it looks. It never seemed fair when a good team got knocked out by an even better one in the first round, and you also get a rapport going when they make multiple appearances. It’s a variation on the Swiss system where you always play a team with the same record as you in the next stage and guarantees that the best two teams will in theory at least both make it to the semis. The spectacles question derives from an old Jewish joke. Jan, how can you get three quarters of a wall and not the final quarter? Thanks, DavidB. To put it simply once you’ve won two matches you get to the semis, once you’ve lost two you’re eliminated. If you win and lose or visa versa the last match is effectively a knockout quarter final. I didn’t get one chuffing question right. I was so furious that I had to go and have a bath. It says in the Radio Times that there’s going to be further series in the Autumn - are you able to confirm this? Hi Tim. Yes, this series is slightly shorter than usual, but there’ll be another one in the autumn after a summer break. You always look great and Weir great clichés. Where do you buy them from. Excellent as usual. Great show. Have both series already been recorded or are will they be recruiting for series 8? Hi Applicant. Both of this year’s series are full I’m afraid - but we will be looking for more contestants for next year’s series, probably in the autumn, and I will certainly advertise the search on this site when it starts. Loving the show as always and really liked the dress you wore in last nights show. Where did you get it from? Great programme; been watching from the first series. Now, have the questions become easier in this series? I seem to be getting a lot more correct! I’m pretty sure they are. There was one tonight where the fourth in the series was ‘biennial’. That was ridiculously easy. It could almost have been a question on the Weakest Link! Tell me you have dumbed down ... please!